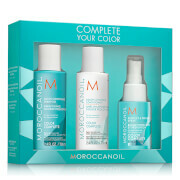 Pump up the volume with the Moroccanoil Extra Volume Gift Set. This shampoo and conditioner duo contains a lightweight formula that lifts hair from within. Enriched with nourishing ingredients, your hair will be left cleansed, soft and full of bounce. It's perfect for boosting vitality in dull, limp and lifeless locks. Moroccanoil Extra Volume Shampoo 250ml: Infused with antioxidant argan oil, Moroccanoil's signature ingredient, this shampoo gently cleanses away daily impurities whilst adding body to your hair. It'll enhance your hair with a beautiful shine, leaving your locks manageable with added lift. Moroccanoil Extra Volume Conditioner 250ml: Lightweight and volumising, this nourishing conditioner is infused with ticiline which penetrates the hair shaft and plumps up the cuticle from within. 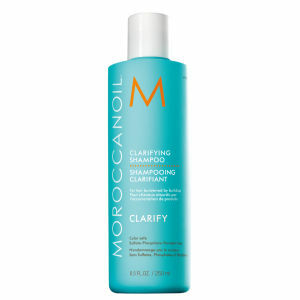 It helps to detangle hair for improved manageability, without weighing your hair down.